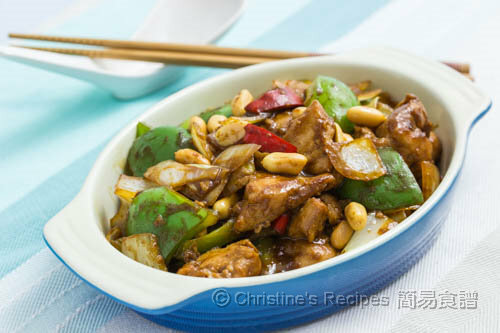 This quick stir-fry chicken with sweet bean sauce dish perfectly goes with steamed rice. And there's a secret ingredient to keep the meat smooth and tender. I love making tasty and quick stir-fry dishes. Not only are they quick to get done, but also perfect to go with a bowl of steamed rice. Yes, we’re big fans of rice. 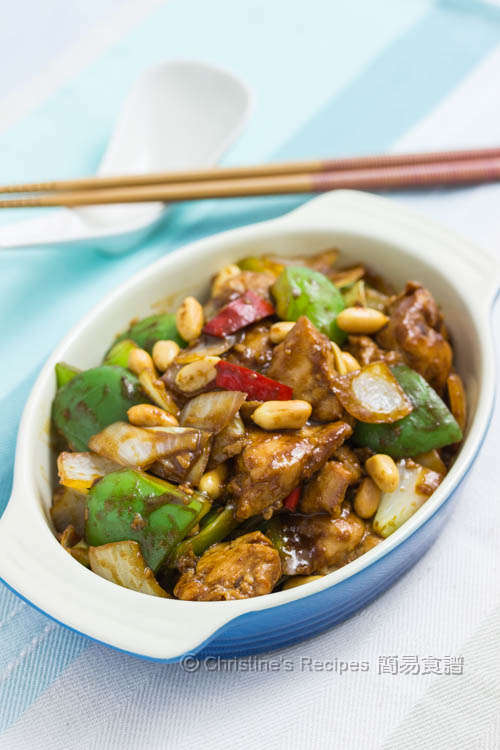 So this stir-fry chicken dish is on top of my family menu. As far as I’m concerned, Asians often opt for chicken thigh meat, whereas Australians prefer chicken breast. Correct me if I’m wrong. The good news is that when it comes to making this dish, you can use either chicken breast or thigh. You may pick whatever you prefer or comes in handy. Either one works well wonderfully. The only thing to keep in mind is not to overcook the chicken meat. No one wants tough chicken meat, right? The stove heat shouldn’t be too high. And don’t cook too long. Lastly, the secret ingredient in the marinade will keep your favourite chicken meat nice and smooth. Wondering what the secret ingredient is? It’s egg white. Ok, it’s not a secret anymore. Hope you all like this dish as much as we do. Mix the chicken with marinade. Set aside for about 20 minutes. Heat oil in a wok over medium high heat. Sauté the chicken until almost done. Set aside. Add more oil in the wok. Sauté onion and cook until translucent. Push to sides and add oil to sauté garlic. Add green and red capsicum. Season with salt. Stir to combine. Toss back the chicken. Add ketchup and sweet bean sauce. Combine well. Pour in the water and cook until the chicken is just cooked through and the capsicum still remains crispy. When the sauce thickens, stir in the peanuts. Done. Serve hot. Sweet bean sauce is available at Asian grocers. Leave the seeds inside the red chilli if you want it hot. Or simply skip the red chilli if you have small kids at home. Thank for this recipe! I'd like to ask if the sweet bean sauce can be replaced with Hoisin sauce? 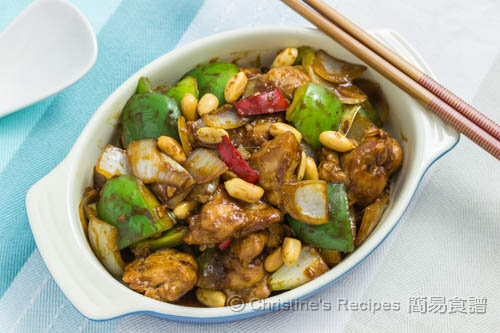 Although sweet bean sauce has a slight sweet taste, it's totally different from Hoisin sauce. And Hoisin sauce is far sweeter than sweet bean sauce. If you want to create a new dish, feel free to experiment. Yet you have to decrease the amount of Hoisin sauce. I would need a second helping of rice :-) This looks very appetizing, Christine. I haven't thought about using udon or noodles. It's a very good idea. Why not? Thanks Christine! I made this and it was delicious. Do you think this would be good with black pepper sauce from Lee Kum Kee? 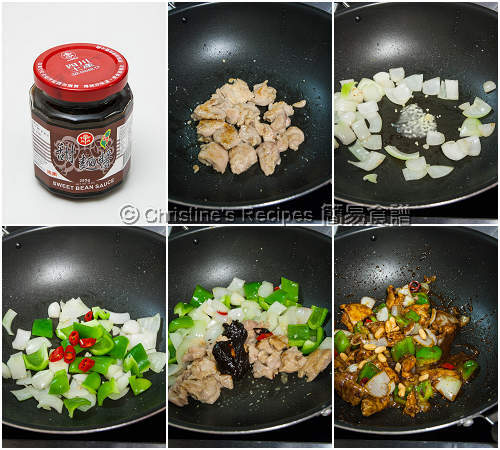 Black pepper sauce goes really well with chicken. If using this recipe, you must omit the ketchup as the tastes won't work together.